Aging is the natural process our bodies go through, as we get older. However, there are some complex biological functions that accelerate aging such as glycation and over-oxidation of cells. 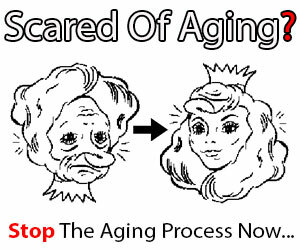 This acceleration in the aging process is caused by excessive sugar, stress, and toxicity. However, as you may have noticed, there are some people who are 40 but look 60 and others who are 60 but look 20 years younger. Here I am going to share with you how to naturally slow aging by following an anti-aging diet, improving your lifestyle and taking anti-aging supplements. Anti-oxidant Rich Teas – Green tea, white tea, oolong tea, rooibos tea, and black tea contain antioxidants called polyphenols that protect your cells from free radical damage. Wild-caught fish – Provide anti-inflammatory omega-3 fats to slow the aging process. Wild Alaskan Salmon contains unrivaled levels of Vitamin D and astaxanthin. Both vitamin and astaxanthin are powerful antioxidants that help fight the signs of aging. Green leafy vegetables – Kale, swiss chard, beet greens and spinach provide important nutrients to support bone health, eye health, and even prevent cancer. Spirulina (a sea vegetable) provides high levels of anti-oxidants including polythenols. This super anti-oxidant is a powerhouse weapon against pre-mature aging. Berries – Are full of powerful antioxidants known as anthocyanins which help maintain muscle and may prevent cancer. Herbs – Turmeric and garlic contain anti-oxidants and cleansing nutrients that can slow the aging process. Refined sugar – Promotes a process called glycation. Glycation damages cells and causes wrinkles. It’s the top food that speeds aging in most people. Grains – Pro-inflammatory if not sprouted and lead to glycation, which will speed up the aging process. Trans fats and hydrogenated oils – These processed fats promote inflammation which may lead to premature aging, heart disease, and certain types of cancer. Alcohol – Although an occasional glass of red wine may be beneficial for health as it has an important anti-oxidant known as resveratrol, the overall consumption of alcohol is pro-inflammatory and speeds up the aging process. Artificial sugar or other artificial ingredients – These contain a large number of chemicals which can speed up the aging process. #1 Dr. Al Sears Primal Force Ultra Accel – Beat the Signs and Symptoms of Aging With This “Super Nutrient”? The goal of Primal Force Ultra Accel II is to create the right combination of ingredients to re-ignite your mitochondria, raise your metabolic rate, and provide you with the energy and stamina you used to have and help Beat the Signs and Symptoms of Aging With This “Super Nutrient with coq10. Consumers that purchase Niegen are about to join the thousands of people who are already taking advantage of the latest breakthrough in the science of aging. Studies have shown that raising levels of NAD+ (a crucial compound that is essential for cellular metabolism) may reverse many of the effects caused by aging. Taking Niagen daily can support healthy aging, cardiovascular health, brain health and more. Consumers that purchase Midogen are about to join the thousands of people who are already taking advantage of the latest breakthrough in the science of aging. Studies have shown that raising levels of NAD+ (a crucial compound that is essential for cellular metabolim) may reverse many of the effects caused by aging. Taking Midogen daily can support healthy aging, cardiovascular health, brain health and more. The omega-3 fats EPA and DHA in fish oil are powerful anti-inflammatory agents and may reduce age-related cellular damage. Found in the skin of red grapes resveratrol has been shown to reduce cellular damage and slow aging. Sleep – A good night’s sleep is one of the best things you can do to prevent aging and is one of the most overlooked health habits. Aim to get at least 8 hours of sleep daily in a dark, cool room. Exercise – Staying active keeps you young by lubricating your joints, supporting detoxification, improving lean muscle mass, and building your cardiovascular health. Essential oils like frankincense, lavender, myrrh and sandalwood are the most anti-aging remedies on the planet. They are high in antioxidants and contain compounds that naturally balance hormones and reduce cellular damage. Taking frankincense internally 2 drops daily in water can slow the aging process as well as using this homemade natural anti-aging serum before bed. Is THIS the single most important healthcare breakthrough in the past 30 years? I recently stumbled upon a video, which could completely transform the way you think about aging. This video describes radical new research done at Harvard and Cornell Universities into what actually causes the biological process of aging. a condition which starts in your 30s and worsens as you get older. If youve suffered from the physical deterioration and loss of energy once thought to be a natural part of getting older, youll benefit from the information contained in this remarkable free presentation. 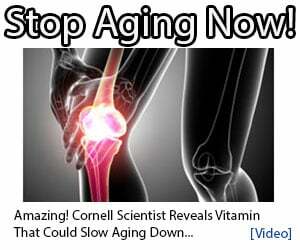 UlTRA ACCEL PRIMAL FORCE Reviews – Dr Al Sears, SLOW DOWN AGING?